BNY Mellon Walk-In Recruitment 2015 For MBA Freshers – Chennai. Job Openings For B.Com,BA,BBA,MBA Freshers in 2015. Walk-Ins on 2nd,3rd February 2015 at Chennai. 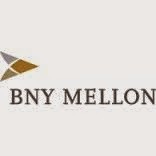 BNY Mellon Hiring Freshers For The Position Of Finance Executive. Walkin Interview for MBA Freshers on 2nd and 3rd February 2015 at Chennai. Good knowledge in Derivatives , Capital Market, Share and Stock Market , Concepts in Accounting , Greek Options in Finance , Value at Risk, Scenario Analysis, Stress Testing, Correlations, Options, Convertible Bonds, Futures. Strong knowledge in Excel with financial background will be a plus. Walk-In Date: 2nd and 3rd February 2015. BNY Mellon is a global investments company dedicated to helping its clients manage and service their financial assets throughout the investment lifecycle. Whether providing financial services for institutions, corporations or individual investors, BNY Mellon delivers informed investment management and investment services in 35 countries and more than 100 markets. As of December 31, 2013, BNY Mellon had $27.6 trillion in assets under custody and/or administration, and $1.6 trillion in assets under management. BNY Mellon can act as a single point of contact for clients looking to create trade, hold, manage service, distribute or restructure investments. BNY Mellon is the corporate brand of The Bank of New York Mellon Corporation (NYSE: BK). Cognizant BPO Walk-In Drive on 2nd February 2015.